You may have noticed by now that I have been more than a little excited about autumn over the past few weeks. Autumn is a strange one for me. It is one of my favourite seasons, with the beautiful colours of nature, the fun events (Halloween and Bonfire night personal favourites), the cosy knits and excuse to wear boots with everything and the promise of Christmas just around the corner. But it is also a time of year where my mental health tends to suffer as well. 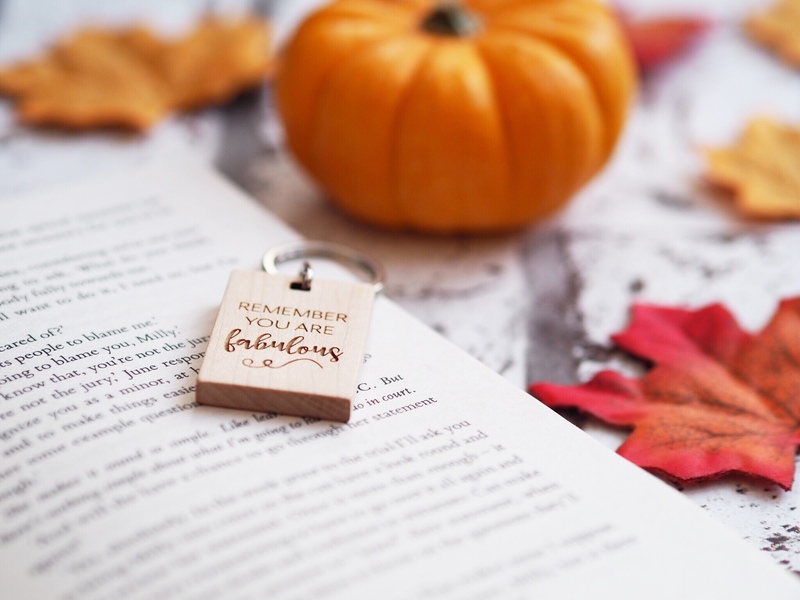 Those same darker evenings that I love for an excuse to cosy up on the sofa can also lead to a drop in my mood, and I have struggled in the past over the autumn months. In a bid to remind myself of all the positive things about this season, I have put together a post with some of the things I am most looking forward to this autumn…. I posted yesterday about my new autumn coat and I have mentioned on social media the fact I have recently updated my wardrobe with some new season staples. I am so excited to be back in jeans, cosy jumpers and a coat with my absolute favourite tan knee high boots. I find my body confidence increases as the weather gets cooler and it’s acceptable to be wearing more layers. I have definitely embraced the leopard print trend as well and have a scarf, ballet pumps and a coin purse which I love! Halloween wasn’t something I really celebrated as a child as my mum frowned upon trick or treating, seeing it as a bit like begging, so we never went. I must admit, I am not a huge fan of this aspect, finding it a bit cringey and more than a little unsafe as well. However, I have started our own little tradition of hosting a party for the kids and our family on halloween over the past few years, and I am so excited for it this year. Not only will we be having a party, we will also be heading over for our annual visit to Sopley farm for pumpkin picking, and this year I will be also be extending the festivities and celebrating with some other fun activities for the kids! I recently went on a photo shoot with Ciara and it was incredible! We got so many fantastic shots and it was a really fun, relaxed day. I am very keen to arrange an autumnal shoot, with all the orange, red and yellow leaves to provide the perfect backdrop and a trip to Sopley to get those pumpkins in the shot as well is an absolute must. So excited to get some more images to fill my Instagram feed with all the autumnal vibes. It has to be said, American TV seems to totally up its game when it comes to autumn, or fall for them. I always end up resubscribing to NOWTv as autumn rolls around, mainly for the new season of American Horror Story, which Ed and I absolutely love. Autumn’s colder weather gives the perfect excuse to plan some cosy nights in front of the tv and I am so here for that. Last bonfire weekend was our UK wedding reception and I am totally going to be greedy and have it as an additional anniversary for Ed and I to celebrate on. Plus, there will always be firework displays for us to mark the occasion with – bonus! I am looking forward to wrapping up warm and going along to a local display before heading back home for snuggles with the kids! Are you a fan of Autumn? What are you most looking forward to about this time of year?